Goldman cleverly booked huge losses that month that never showed up on any of its annual reports. There’s much more to be said on this matter. 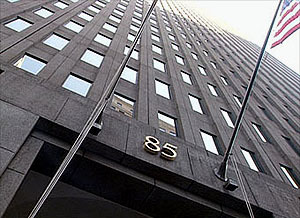 For one thing, the monster option grant took place during Goldman’s notorious orphan month, meaning that it would never appear in an annual report. And for another thing, it was very expensive even at the time….Add it all up, and the various stock-related grants given in one month of 2008 (we’re not including annual bonuses here) were worth $1.9 billion at the time, and are worth somewhere in the neighborhood of $7.6 billion now. Remember that December 2008, when Goldman made these grants, was the worst month in the company’s history: it lost $1.3 billion, and was mired in the depths of the financial crisis. Yet many partners will have received stock and options awards that month which are worth hefty eight-figure sums today. Not bad for a month’s work. Ain’t life grand? It sure is if you work on Wall Street, where planet-annihilating financial crises are a problem only for the little people.